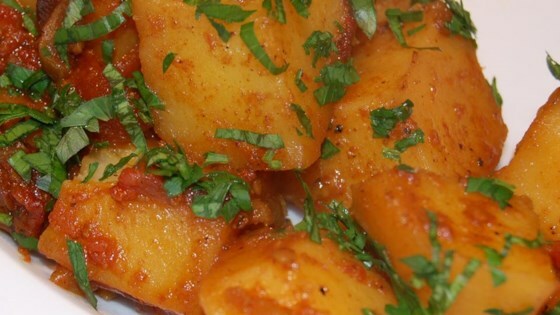 "Spicy potatoes, tomatoes and onions with an Indian kick! This is super spicy so be aware!" Add tomatoes, cover pan and cook until potatoes are soft, about 10 minutes.